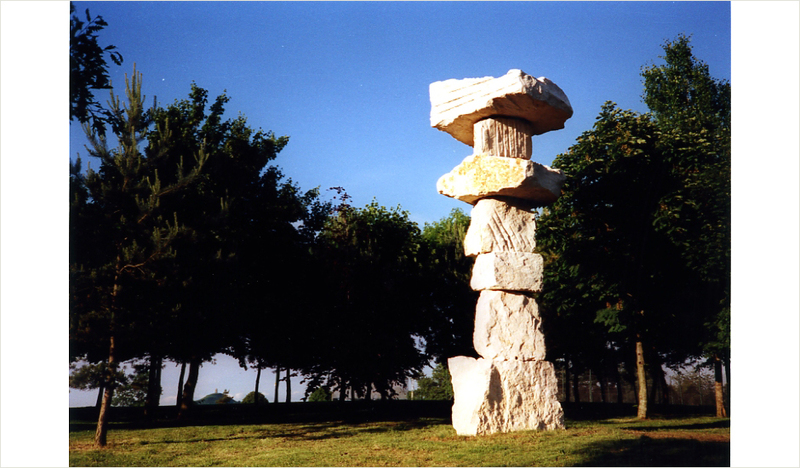 10th Millfield International Sculpture Commission. Through the trees behind the sculpture is Glastonbury Tor, ancient spiritual centre of England. Spinney Cairn attempts to quietly acknowledge Glastonbury Tor from beneath the spinney of trees that surround it.